Includes Custom Body and Certificate. Limited Edition 19" Baby Tim Unpainted Reborn Kit. 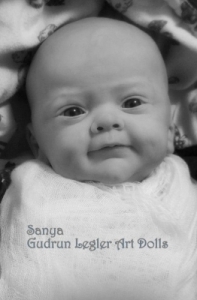 (Only 4 left) - 18-19" Limited Edition "Sanya" Unpainted Reborn Kit. Full limbs and custom body. Also Limited Edition Numbered Certificate.